Estes has gone back to the archives, pulled up old drawings and spec sheets and brought these fantastic flying machines back for old and new rocketeers to enjoy. Each kit has been reproduced and updated while still retaining the classic lines of the original. 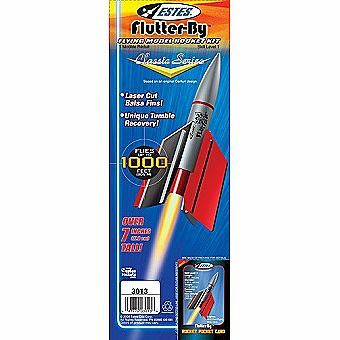 The Flutter-By is a unique rocket and is a blast to build and fly.